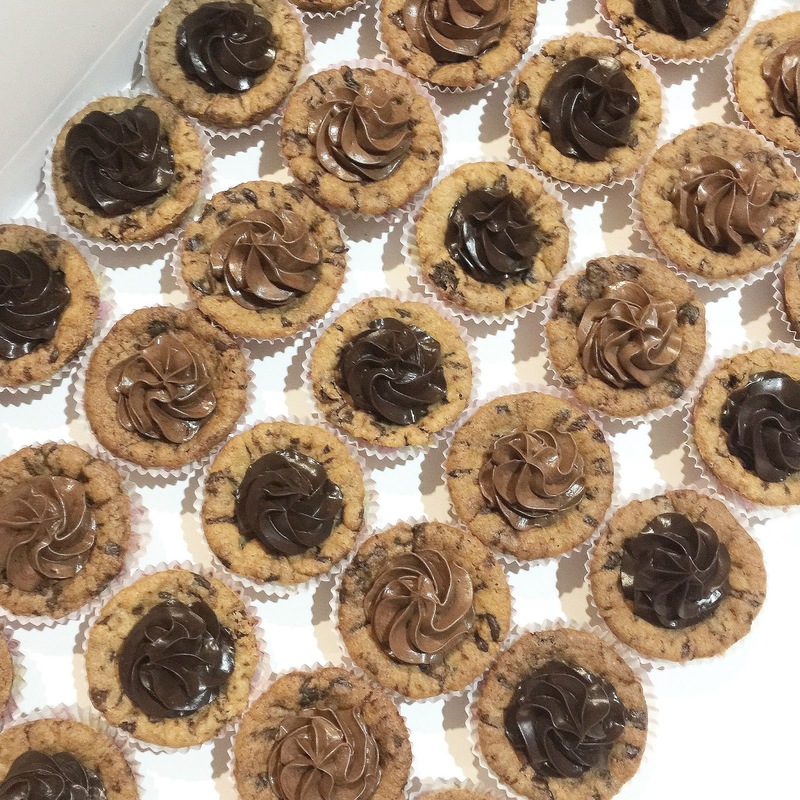 I always love the idea of Dominique Ansel’s cookie shots filled with milk. It’s a brilliant idea to enjoy both milk + cookie. 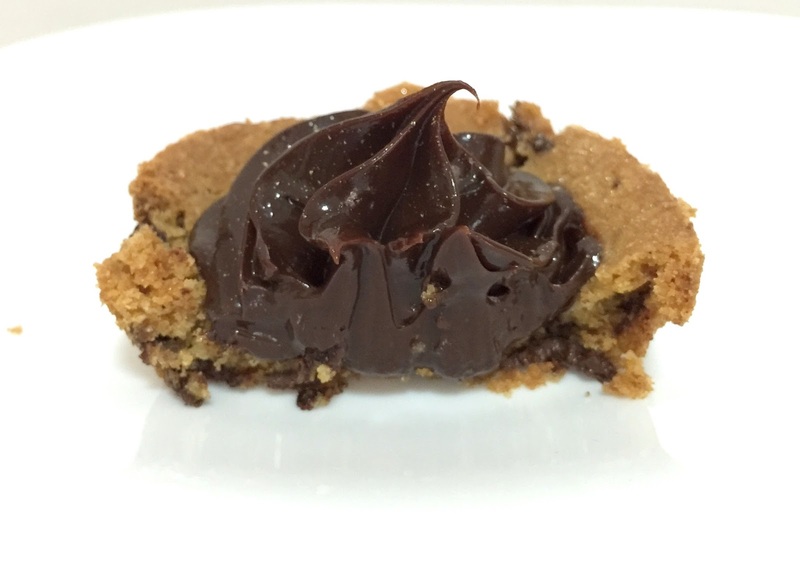 So i decided to make my very own version with chocolate ganache instead. 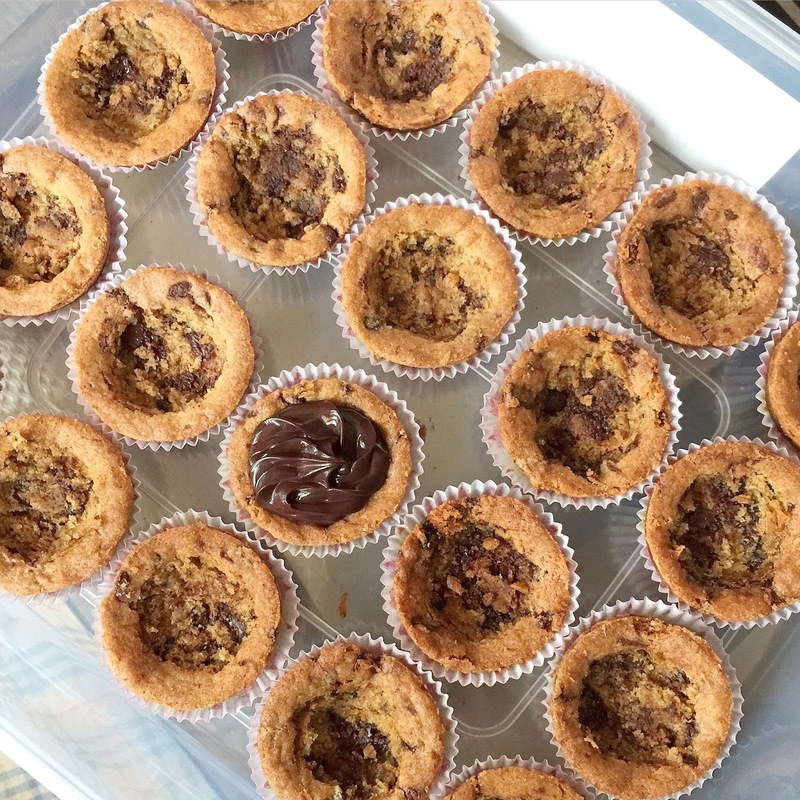 If you are wondering what they are, they are cookie cups with a creamy chocolate ganache filling. 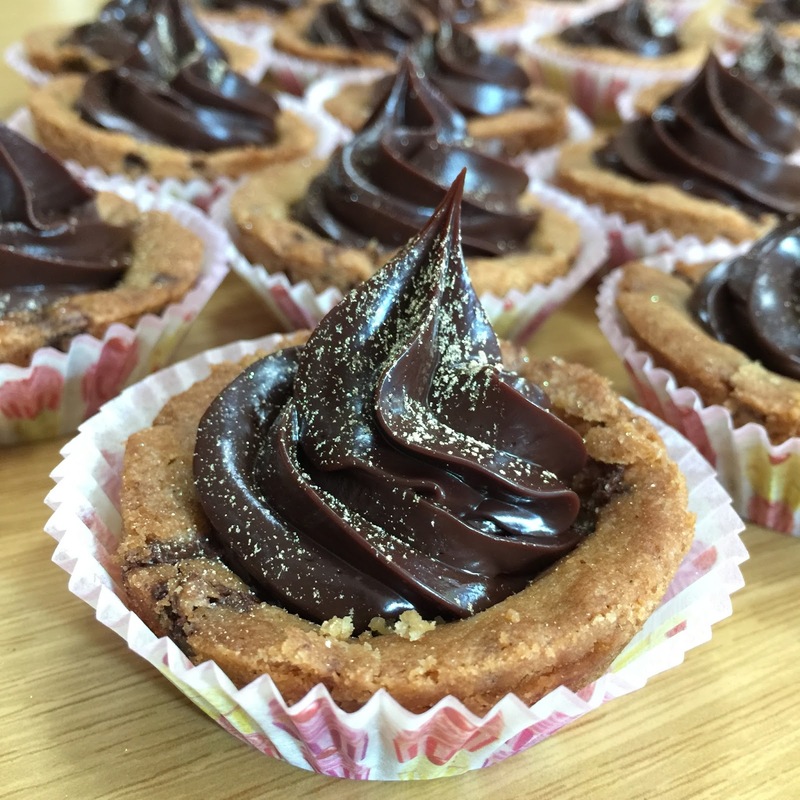 Rather than using cupcakes to contain the filling, I made use of edible cookie cups.. 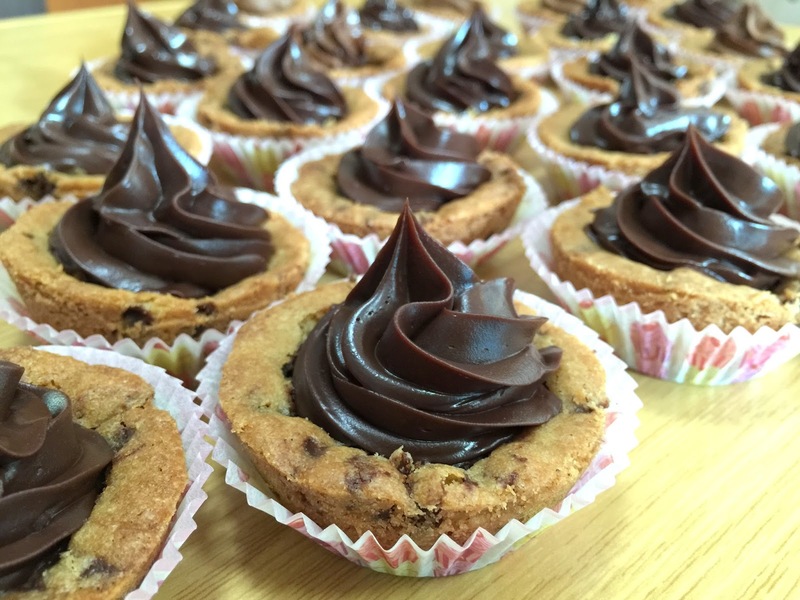 The cookie cups are made from the usual cookie dough recipe . I baked them in the oven for 14 mins. Be sure to make an indentation in the middle for the filling. 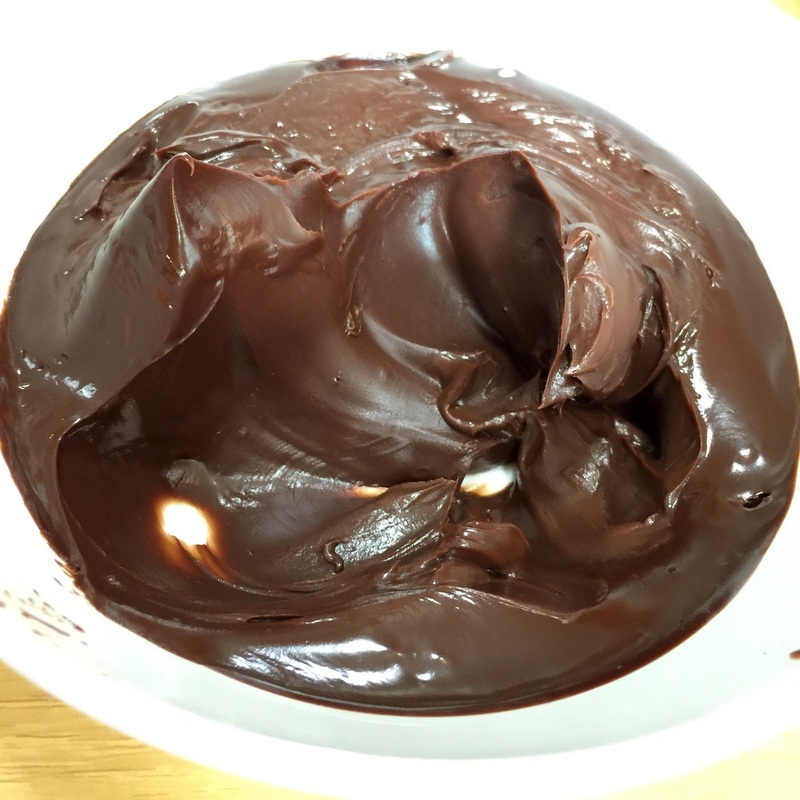 Smooth rich chocolate ganache- don’t you just wanna take a spoon and dig in. These cookies are best eaten at Room temperature. The cookie would harden if placed in the fridge. 3) In a separate bowl beat butter with brown and castor sugar until light and fluffy. 7) Take about 28g of batter and roll them into a ball. Press them down and up the sides of a cupcake tray ( Form a cup with an indentation in the middle). 3) Pour cream on chocolate and let sit for 5mins before stirring to combine.